Colman Taylor is a health economist who works across industry and academia. Colman holds academic positions with the George Institute (Post-Doctoral Research Fellow) and the University of NSW (Senior Lecturer). He has published over 35 research articles in top medical journals including NEJM, Lancet Respiratory Medicine and the MJA. He has contributed to over 35 conference abstracts and is an active reviewer for over 10 journals. In total, he has been awarded over $15m in peer reviewed funding and he has been a member of over 15 scientific advisory committees. Colman’s current h-index is estimated to be 14. Colman’s PhD research evaluated the cost and benefit of helicopter emergency medical services. Since this time, Colman has developed a program of research focusing on the economics of critical care. 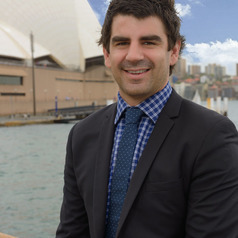 Colman is also an Owner and Director of Sydney-based consultancy Health Technology Analysts. In this role, Colman works with industry and government developing and evaluating submissions to the Pharmaceutical Benefits Advisory Committee (PBAC) and the Medical Services Advisory Committee (MSAC).